For the first time in over three years, none of the books in Stephenie Meyer’s Twilight Saga are on USA Today’s top 50 Best-Selling Books list. At least one or more of the four books had been on the list since July 12, 2007 (170 consecutive weeks). Breaking Dawn fell from the top 50 to number 54, Twilight is at 172, New Moon is number 238, and Eclipse is 198. Meyer’s publicist tells USA Today that they expect to see a spike in book sales when the Eclipse DVD is released in December. Plus, Meyer is releasing The Twilight Saga: The Official Illustrated Guide in April, and that is sure to put her back on the bestseller list. Stieg Larsson and James Patterson always seem to dominate every bestseller list I read, and this one is no different. While not in the top ten, I noticed all three books in The Hunger Games trilogy are in the top 50. I think The Hunger Games is definitely the most popular YA series right now, and with the movie in the works, the buzz surrounding these books is only going to grow. So does this mean that Twilight‘s popularity has finally peaked? I think this was bound to happen sooner or later. At this point, it seems like practically everyone has read these books and they are ready to move on to the next big thing. So what do you think? 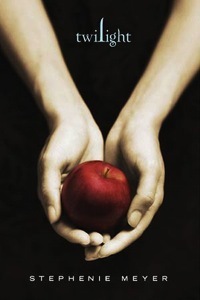 Is the Twilight craze about over? Or is this just a brief lull in sales?